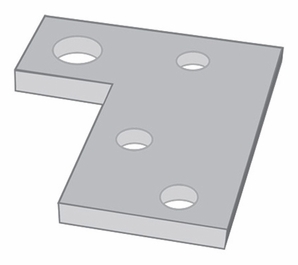 Aldon 4014-27 Shim For Hinged Derails With Pop-Up Signs-1/4"
Ready to use shim plates, 1/4" or 1/8" thick, ensure a proper height adjustment and a secure mounting of hinged derails with Pop-Up sign holders. When shimming is required both sides of derail must be shimmed equally. Therefore, order shims in even numbers. Product Reviews for Aldon 4014-27 Shim For Hinged Derails With Pop-Up Signs-1/4"